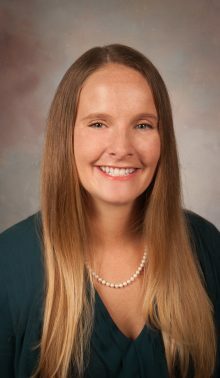 Molly Sandel, NP | Gastrointestinal Specialists, Inc.
Molly graduated from Virginia Commonwealth University’s Adult-Gerontology Acute Care Nurse Practitioner program in 2016. She joined Gastrointestinal Specialists, Inc., in 2017 after a fellowship in critical care at VCU. At GSI, she is primarily located at St. Mary’s hospital and works very closely with Drs. Abou-Assi, Seeman, Srivastava, Talreja and Thanjan. Prior to becoming a nurse practitioner she worked in a medical intensive care unit where she gained valuable experience in the care of acutely ill patients and saw a wide variety of gastrointestinal illnesses. She is an active member of the Virginia Council of Nurse Practitioners and serves as the secretary for the Richmond region. Originally from Botetourt County, Virginia, Molly has enjoyed living in Richmond since 2005, when she began the nursing program at VCU. In her free time, she enjoys traveling with her husband, playing tennis and board/card games, water and snow skiing, and working out.